Tava is a native of South East Asia. 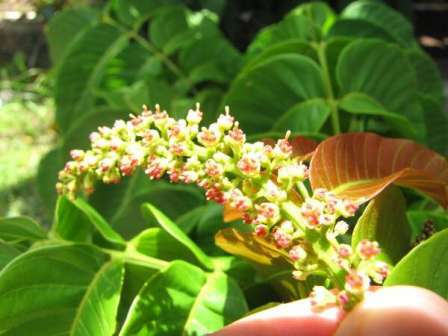 It also grows in the Pacific Islands besides South East Asia. 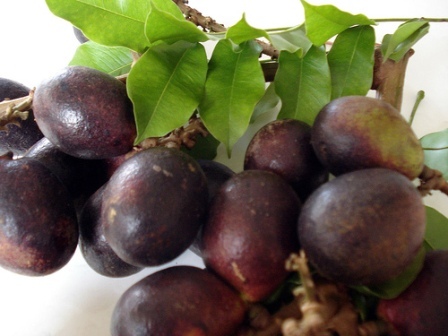 Tava provides a very important seasonal fruit in many parts of the Pacific. The fruits are consumed fresh and sold in local markets. But still tava is known more as a timber tree. Than a fruit. A large tree 18-27 m tall. Leaves compound, 30-91 cm long, with 4-12 pairs of leaflets; new leaves bright red. Flowers small, bisexual, of whitish colour, borne in 30-46 cm long terminal panicles. 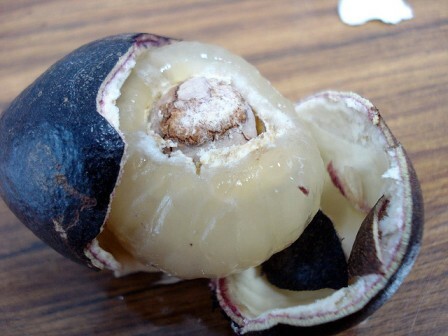 Fruits round to ellipsoid, with a thin peel that may be greenish to red or almost black when mature; aril forms the edible pulp which is cream coloured, juicy and sweet. Tava fruits are eaten fresh. The thin skin is removed simply by gripping the fruit around its circumference and twisting. Two shell-like halves come away from the pleasantly tasting fleshy aril. These taste somewhat like longan. In Tonga, the onset of its short fruiting season creates a hive of activity known as lulu tava (literally to “shake down the tava fruit”), before the bats or birds get at it. The greatest utilization of fruits occurs in New Guinea, the Solomon Islands, Vanuatu, and Fiji, which are associated with the selection and domestication of superior fruit types and the absence, until recently, of related Asian fruits trees such as rambutan and lychee. Tava fruit is highly perishable. It is therefore primarily consumed fresh. The seed is also edible, and is consumed roasted or boiled. The tree is harvested for timber. Tava wood is used to make many different articles. It is also used for firewood. Tava is a fast growing tree, and is found wild from sea level to an altitude of about 2,500 762 m. In nature, it grows naturally in warm to hot, humid subtropical and tropical zones, upto an elevation of 1700 m and with an annual rainfall of 1500–5000 mm. 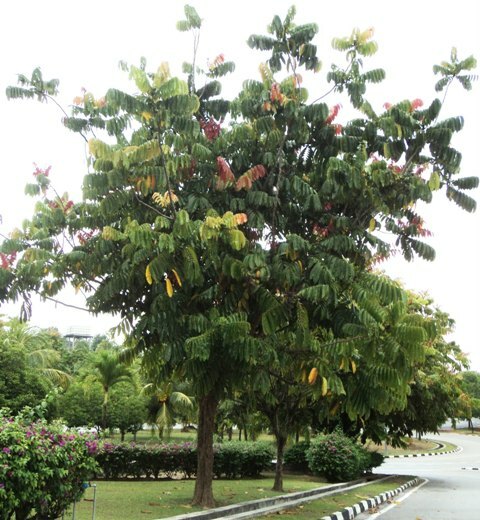 New trees are generally raised from seed which have a very short life and low germination. Superior types can be multiplied asexually by grafting. Cultivated trees should be pruned regularly to facilitate fruit harvest. Fruiting occurs sporadically throughout the year, with the greatest production in December and January in the Northern Hemisphere. There are green, red and black varieties. One problem with growing tava is that gets very heavily attacked by rose beetle, making the leaves look like a colander.